On September 28th, ‘Amazon Global Selling 2017 Press Conference’ was held at COEX Convention Center in Seoul. The event was prepared to introduce main issues to domestic media officials ahead of the selling conference held on the afternoon. Today, everyone from domestic conglomerates to start-ups has been able to sell products to more than 300 million buyers in 185 countries through Amazon, without local logistics centers, customer support centers and local language support services. 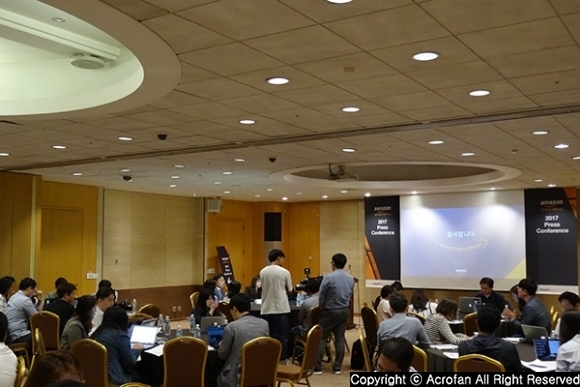 For the first time in Korea, Amazon hosted a 'Global Selling Conference' with more than 1,000 entrants, government officials, and compnies which hope to enter attending, and introduced various support programs and services for domestic companies wishing to enter overseas markets. Amazon operates online marketplaces in 11 countries around the world, giving sellers the opportunity to sell products to more than 300 million customers in 185 countries. The Amazon Global Selling site is supporting domestic sellers to concentrate on selling products without worrying about complicated business issues such as local logistics centers, shipping services, customer services such as returns and refunds, as well as securing sales channels. Amazon allows sellers to use the 150 million square foot Amazon logistics center through Fulfillment by Amazon (FBA), a differentiated one-stop order processing service, and deals with all the processes that occur after customer orders. 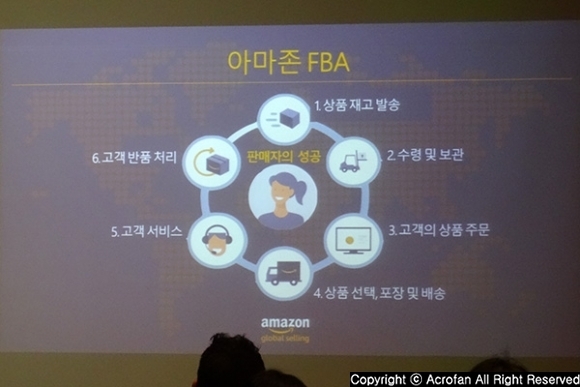 In other words, since Amazon takes care of customer service such as screening, packing, shipping, customer inquiry and return, sellers in Korea only need to go online and manage order processing. Therefore, they can provide products to the customers more simply and quickly. 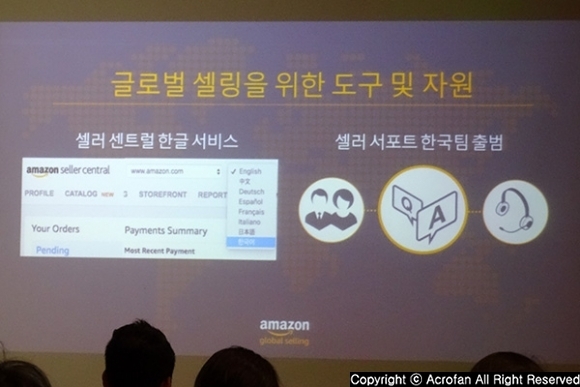 In addition, Amazon supports local sellers to expand their global business and strengthen their customer base by operating a dedicated team for domestic sellers, launching a Korean service for Seller Central, which is a sellers’ portal, and offering a Korean seller education program. ▲ If you give the product inventory to the Amazon Logistics Center, then Amazon will take care of everything. ▲ Korean support that has been pointed out is now officially launched. ▲ It is declared that priority investment will be implemented in the seller training program with the aim of spreading the whole ecosystem. A headquater of Kolon Industries Future Business, a fashion brand entered the Amazon in 2015, said, "Through our steady business development with Amazon, we are actively communicating with the global millennial generation, which is our new customer base, and spreading the brand’s unique value to domestic and foreign customers.” Kolon Industries FnC has been steadily increasing its sales growth in the Amazon with 'Regna X', which was developed as an exclusive online brand. Ryu Jong-yoon, CEO of White Stone Co., Ltd., which is a company specializing in tempered glass for protecting smart devices and entered the Amazon in April, 2017, said, “Since introducing products to the global market through Amazon, the company has been recognized for its excellent quality both at home and abroad. By intensifying our sales and marketing activities targeting consumers in overseas markets that have not been able to advane directly due to time and geographical constraints in the meantime, we will firmly strengthen our position as a leading company in the global screen protector market.” White Stone has been showing the remarkable advance in the mobile phone accessories category since entering the Amazon. 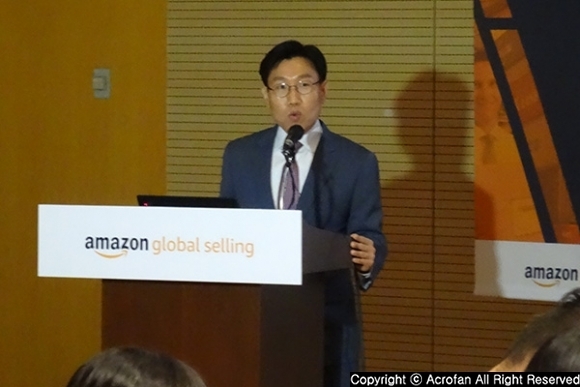 Based on the official activities, Amazon Global Selling announced that it will continue to introduce various support programs for domestic sellers to advance overseas. It also promised to strengthen the Korean language service as well as the education program that helps bring new functions and services directly to actual sales. It also opens up opportunities for the use of ‘Referral Fee' by category, and offers a wide selection to domestic sellers who are actively seeking to promote global markets.